Engineering & Inspections has expanded our advanced services department with the addition of some of the most advanced technology available on the market today. 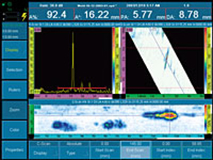 We are pleased to offer Phased Array Ultrasonic Testing. This is a full featured system, producing B-Scans and C-Scans with encoder capabilities. The system has been approved for ASME code case 2235-9 and B31 case 181 accepting Ultrasonic Testing in Lieu of Radiography. It scans virtually all angles, not just your standard 45, 60 & 70 degrees, and without moving the transducer back and forth. It’s like having 49 transducers in one! If you have limited scanning room a 1” distance can cover all angles in tight areas such as a Fin Fan, Box Headers or if you need to scan a large section for a corrosion/erosion survey a 2” footprint can cover the area. Simplicity is the key with the Revolver, you simply select the band and wedge size as required, and within minutes you are ready to scan; no complex setup or templates are required, just snap the scanner on the pipe and scan away. All Revolver components are machined from high grade aluminum and have an anodized finish to ensure long life and durability. 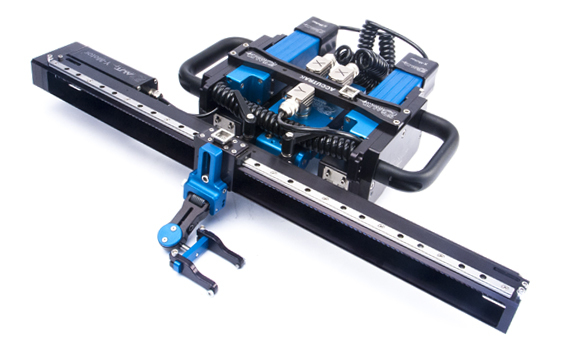 Users can configure the Revolver for a single side phased array inspection or dual for complete weld coverage. The encoder used is rated to IP68 and is designed to operate in many types of industrial conditions. 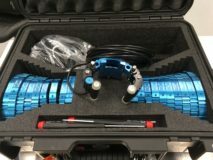 The Revolver Scanner was designed to inspect small diameter pipe/tube welds, ranging from 0.80” inches to 4.50” [20mm-115mm], and has a low profile height to operate between obstructions as low as 0.625” [16mm], such as boiler tube inspection. The AccuTrak is the first ever “truly modular” steerable automated NDT scanner which offers both 2 or 3 axis versions and has the ability to scan just about any contoured magnetic surface. 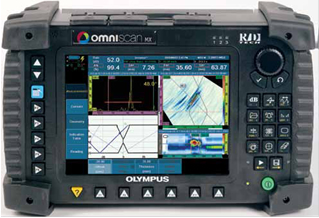 Perfect as a tank inspection scanner, automated weld guided scanner and more.